Less than a month after the release of Batman v Superman: Dawn of Justice, a new movie about superheroes fighting each other has critics talking. The only difference? This time, they actually have good things to say. After its early screenings, Captain America: Civil War has received almost uniformly positive reviews, with many critics saying that the longest Marvel movie ever is also one of the best. (Those Disney checks are paying off!) 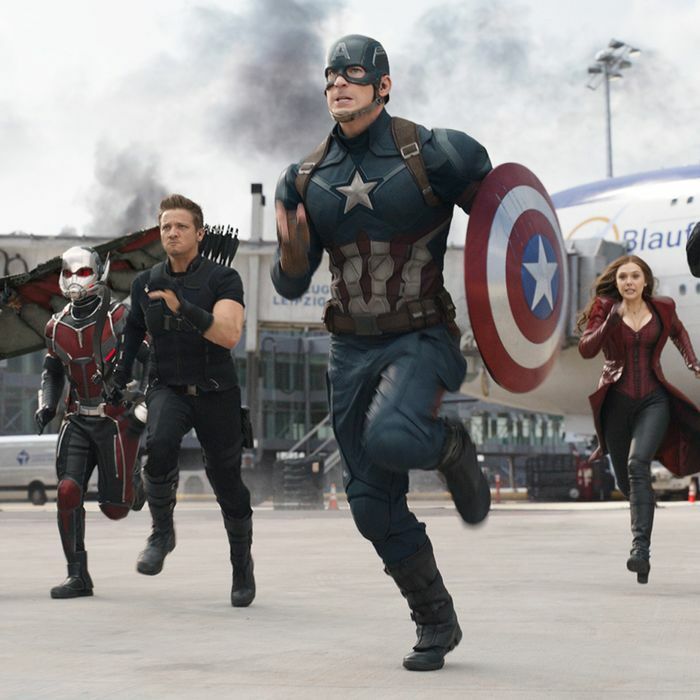 When it comes to Captain America films, it seems the third time really is a charm. Civil War hits theaters May 6. “Captain America: Civil War isn’t just a great Marvel movie, it’s a great movie. And that greatness — which is dependent in part on the groundwork laid by 12 previous movies — is the final proof of the concept that Marvel Studios first tried out in Iron Man back in 2008. It’s the film that proves the shared universe concept isn’t just cool, and isn’t just a great marketing idea but that — when used right — it creates a kind of gripping, resonant longform storytelling that no one else has ever accomplished on this scale. It’s also great because of the combination of Joe and Anthony Russo, directors, and Christopher Markus and Stephen McFeely, screenwriters, who have put together a movie that just works, a movie whose epic plot has a stunning sweep, whose thematics are built on solid (and fertile) ground and whose tone is perfectly controlled from scene to scene, allowing the movie to contain some of the most joyous big screen spectacle that you’ll see this year but also feature some absolutely heartbreaking scenes that are emotionally harrowing.” — Devin Faraci, Birth. Movies. Death.